The Washington County Clerk provides certified copies of vital records for genealogical research purposes. Vital records for genealogical purposes are defined as: birth records over 75 years, marriage records over 50 years, death certificate records over 20 years old. Divorce records for Washington County can be obtained from the Washington County Circuit Clerk. 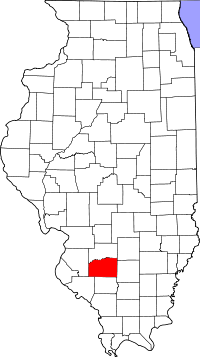 Another option for Washington County vital records searches is the Illinois State Archives. The Illinois Department of Public Health Division of Vital Records is a good option, if you are searching for records from 1916 onward. You will find printable applications on the Department website.